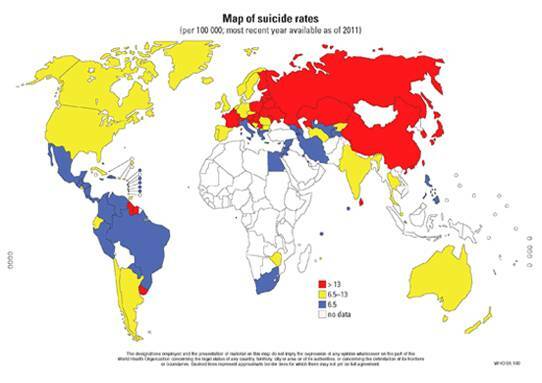 The spatial distribution of suicides is not equal across all age groups. Some parts of the country are more likely to have the very young (<12 yo) or very old (75+ yo) people documented as having been recently engaged in some suicide related event. Other parts of the country show a prevalence for resulting in suicide patterns in the young adult population, the immediately pre-retirement population, or the mid-life crisis victims of 37 to 43 and 47 to 53. 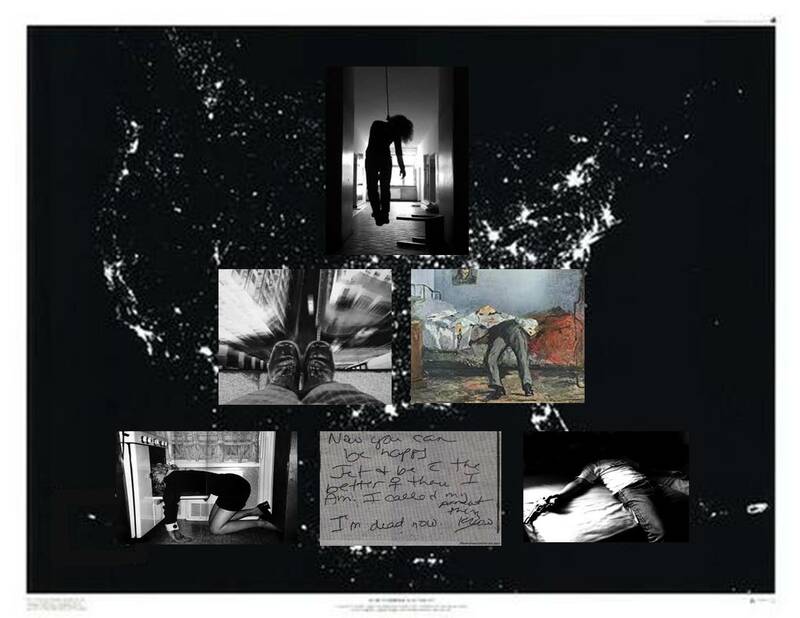 Suicide or the attempt thereof, for the most part, lacks ethnic and other sociological boundaries. It has tendencies to be more aggressive and involve more violence-related methods, such as the use of a gun, in men versus women. The more domestic means of taking one’s life, such as the use of household chemicals or the use of a stove or garage tends to involve women far more than men. In a previous study I did on suicide as it pertained to 1-year age groups and gender, I found certain places and methods for performing suicide to be linked–there was a recurring pattern for certain age groups and certain genders relative to the kinds of places they decided to attempt their suicide in and the methods they used. The most obvious of these places prone to suicide at the local bridges, cliffs and waterfalls. One of the nation’s most “popular” suicide sites in Niagara Falls, with an estimated 3000 cases of suicide or claims of considering suicide reported per year within medical settings close to this popular tourist site. Suicide methods tended to be more “family focused” or riddled with “philosophical” undertones when women were engaged, such as a 20 year old woman committing suicide in a national park setting involving a cliff face with a popular viewpoint, or via a self-afflicted gun-wound common to boys and men. In terms of population or peer-linked causes for suicide, urban settings tended to be more involved with pre-teen suicides than rural settings. Like in the case of the Colorado high school-killing events that made the news over the years, bullying has been a major contributor to these pre-teen suicides and teen age student rage related behaviors performed against other students and even teachers. No matter how populated they are, urban centers, since they are isolated and behave like an island community socially and sociologically, have a neo-Darwinian feature to them that cannot be ignored–the notion that isolated settings are more conducive to unhealthy behavior like suicide events and bullying in large urban settings like New York City (the news today for example, May 31, 2012). Such neighborhoods are also capable of evolving along their own path of recovery as an isolated closely knit community setting. These observations mean that unique behavioral features can evolve that are either preventive or conducive to suicide related activities. For this reason, outlying cases like those seen outside the Denver setting are often hard to predict. 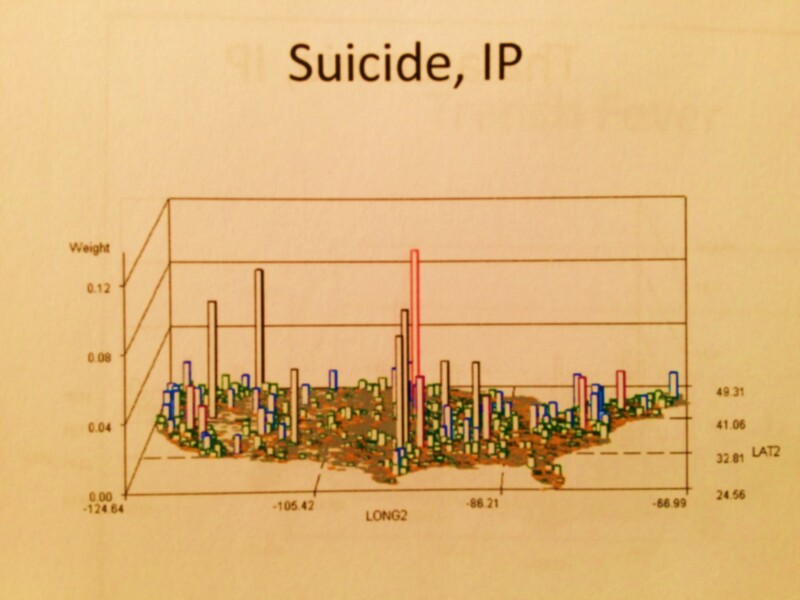 It is in such cases that mapping suicide events across different population setting can help us better understand the spatial relationships that exist between well known, expected behavioral settings conducive to suicide, versus those that are less predictable, and result in more tragic community suicide behaviors. 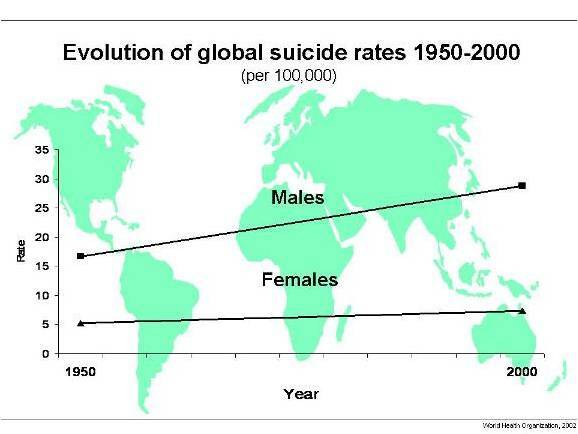 When it comes to women and suicide, still more differences exist that are worth mentioning. 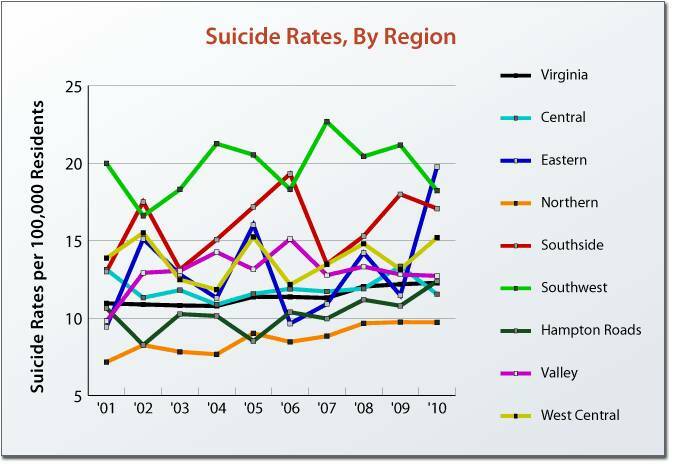 Some of my findings using E and V codes, which if entered correctly and completely will subdivide Suicides by type (guns, CO, knife, meds, jumping, etc. ), are typical, expected, or even anticipated and predictable, like the fact that women committing or trying to commit suicide have a more domestic or “outdoorsy, natural touch” to their methods. Women were far more likely than men to engage in an outdoor suicide attempt, such as adjacent to a cliff along a favorite hiking trail. Women were also more likely to attempt suicide by sitting in a running vehicle in a garage setting, where their family resides, and where in the worst scenario they might even choose to engage their kids as well in this process. Men on the other hand seemed more self-absorbed, self-centered, and were more likely to maintain their devotion to violence and socially disfavored viewpoints and practices regarding life and the taking thereof. Men are more likely to make use of a handgun to commit such acts. They are more likely to attach violence to whatever it is that they are doing when the suicide is performed. They are more likely to engage in practices that are already risky, without involving the possibility that suicide may be the reason they are engaged in such activities. Place often seems to be secondary to his choice of a final stomping ground, except when suicides are very predetermined in nature–in which case he will have selected to engage in those types of suicide that will not fail–such as crashing a car or plane, or parking your car in front of an oncoming train. Based on a detailed review of suicide practices by subgroups and types, some of these brief studies have shows that . . . Even though kids, guns and violent acts often seem to be linked, these together do not imply suicide by gun or sharp object; instead, less aggressive, less violent methods are often used, since the mental and emotional focus is on self, not those responsible for the choices being made. Women often use chemicals and drugs, and other “non-violent” methods such as hanging or carbon monoxide poisoning; men use guns. Women are more likely to engage nature and nature’s blissfulness in their suicide attempts; men engage in events involving sites capable of portraying acts of violence. Women think about family; men think about self. 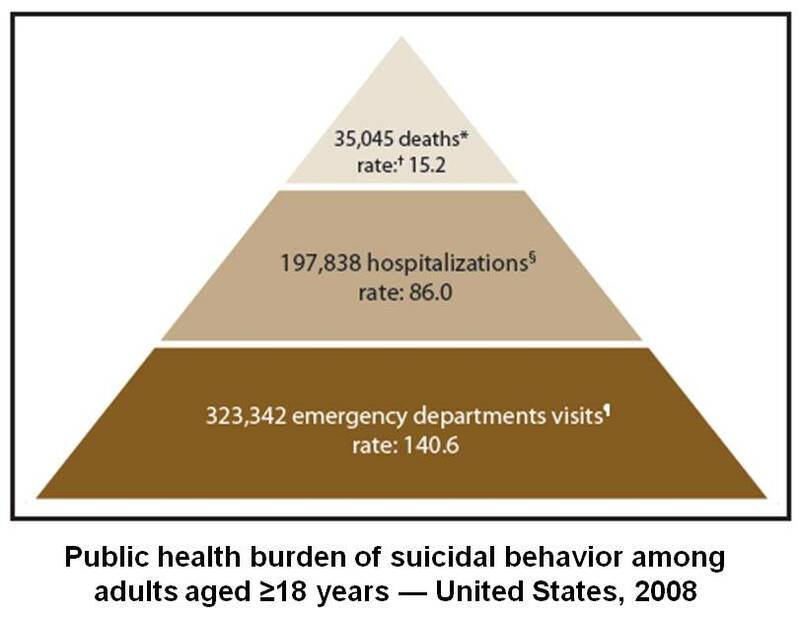 Niagara falls is by far the nidus of many suicide peaks within close quarters, geographically speaking. The pre-retirement adult years are most linked to the Niagara Falls Suicide rates. The Young Adults are most suicidal in the Pacific Northwest, that region of the country where inadequate amounts of exposure to the sun have often been blamed. Suicide ICDs demonstrate no statistical relationship with the other ICDs are often considered melatonin related medical states such as poor sleep, 24 hour clock related sleep disorders, and those “average sunny days per year” related psychological problems. These latter ICDs do not demonstrate the younger age age peaks seen for Pacific Northwest suicide rates, at least in this particular review of the statistics. In sum, it is safe to say that different regions have different “tendencies” suggesting that at specific age ranges. One is less likely to be in the midst of people his/her age who are capable of committing if he/she resides in certain parts of the United States. One is more likely to engage in one sort of suicide practice over all others, depending on where he/she is living when he/she finally makes that choice, i.e., as follows . . . This doesn’t necessarily meant that if you want to avoid becoming an Niagara Falls suicide statistic that you move away from western New York, or if you wish to avoid becoming depressed during your early career/post-high school yers that you stay away from the Pacific Northwest, especially Seattle. It just means that there are certain odds that have to be taken into consideration, if in fact you do engage in thinking about your own psychology and decision making practices at times. In some ways, either directly or indirectly, consciously or unconsciously, narcissism is not dead in the pre-suicide world. It is waiting to express itself by directing those engaged in suicide along the “most correct” final routes in life.